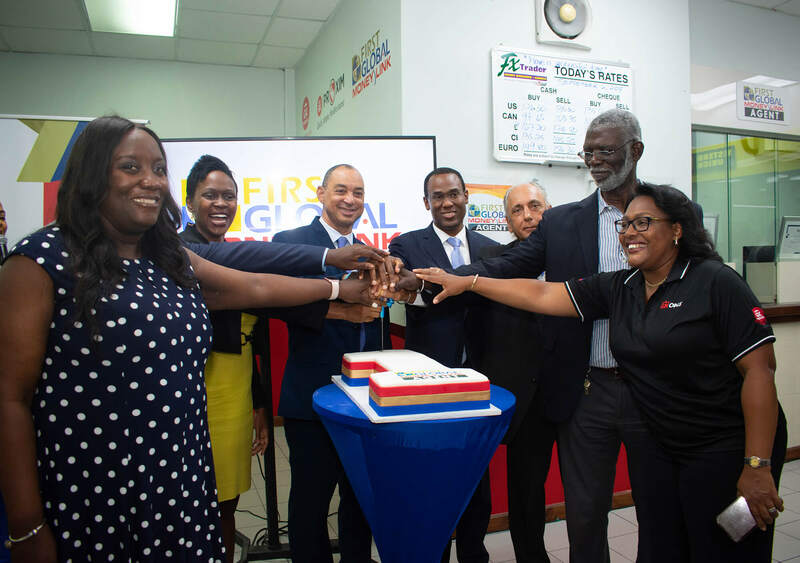 First Global Bank (FGB), the commercial bank of the GraceKennedy Group, has officially established agent banking, a first for Jamaica. 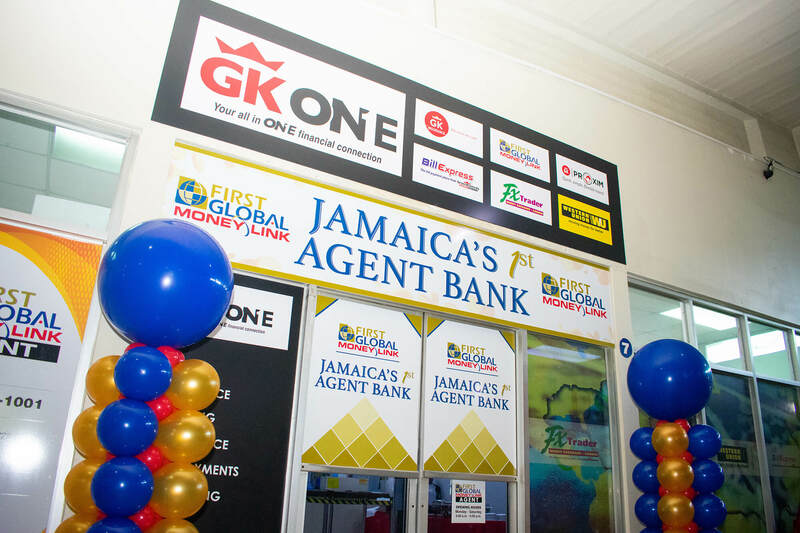 This was revealed at an official launch of the bank’s inaugural agent location in the Boulevard Supercentre, on Wednesday September 5, 2018 in Kingston. Agent banking is the provision of banking services though a contracted agent. An agent is a company other than a deposit-taking institution (DTI), who has been appointed by a deposit-taking institution to carry out one or more banking services. 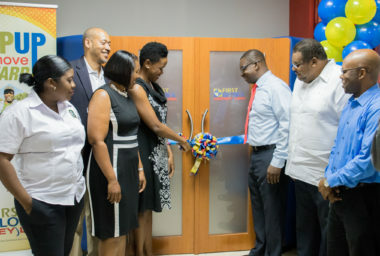 In the case of FGB, who acquired the island’s first agent banking licence earlier this year, the first appointed banking agent is Stapharm Services limited which operates the GK Money Services outlet in the Boulevard Supercentre, 45 Elma Crescent in Kingston. 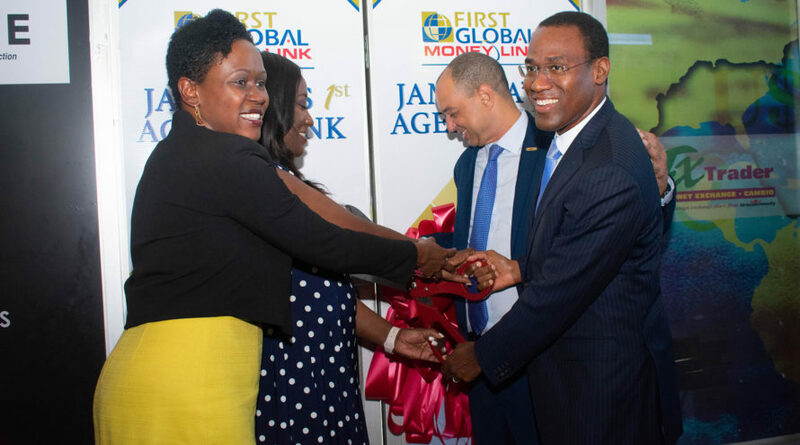 Speaking at the launch event, President and CEO of FGB, Mrs. Mariame McIntosh Robinson highlighted that the agent banking service was aimed at bringing formal financial services to the community level in order to serve more Jamaicans. She was particularly happy to share that because agent banking requires a relatively small footprint, often a desk, counter space, or shop window, with the smaller capital investment and lower overhead costs, the services are delivered free to customers…“No fees” she repeated. While not all banking transactions can be carried out at an agent location, customers can make payments, check account balances, make account deposits and account withdrawals of up to Fifty Thousand Dollars. The location will also be open on Saturdays and operates from 9:00am to 6:00pm, an extension of the traditional banking hours. 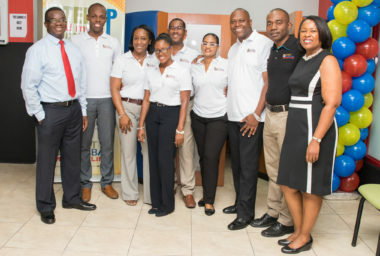 “Bringing more Jamaicans into the regulated banking network is vital to economic and monetary policy development and even tax revenue planning and collection. Traditional banking as it currently exists has several gaps and does not readily cater to every single citizen. Traditional banks are also not located in local communities but often in town centres which is not always accessible. 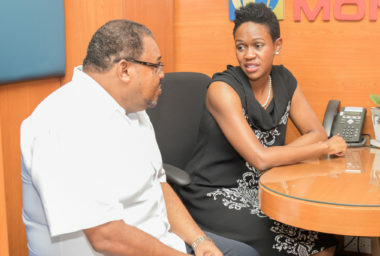 We believe that every Jamaican deserves access to a relevant level of service, so we are investing in community banking and going into locations that may not readily appear profitable, without understanding the broader national motivation.” He said. First Global Bank will continue to expand its network in 2018, with Nine (9) additional agent locations to be opened across the island, and one (1) mini branch to be opened in May Pen. 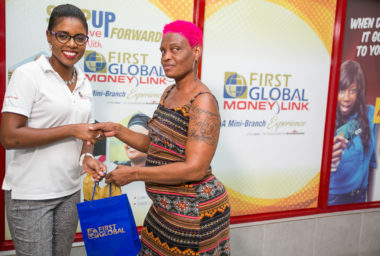 These will complement the four (4) recently launched First Global MoneyLink mini branches, located inside GK Money Services locations in Hopewell Hanover, Cross Roads Kingston, Santa Cruz St Elizabeth and Linstead St. Catherine. First Global Bank is a Jamaican-based commercial bank and a wholly-owned subsidiary of GraceKennedy. Operating since 2002, FGB has a reputation of redefining the banking experience through its commitment to technology and a high standard of service delivery. The bank was first to deliver a local mobile banking application (FGB Mobile) and one of the best rated online banking platforms (Global Access). First Global Bank’s operates eight (8) main branches, located in New Kingston, Manor Park, Liguanea, Duke & Harbour Streets, Portmore, Mandeville, Ocho Rios and Montego Bay. So Many Winning Right Now, Who Could Be Next?